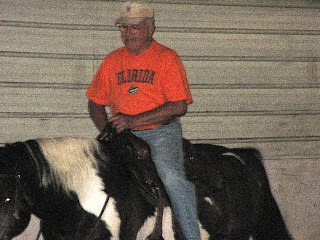 John's parents came for a visit last week and John told them that at some time they would be riding his horse, Mick. I was doubtful that he would be able to talk them into it, but here is the proof. They not only rode, but did it really well! 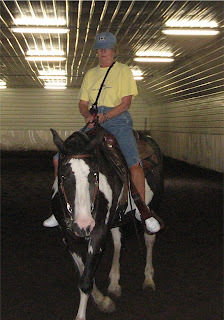 Jean even got up a second time for another spin around the arena.